Step into this superb old estate from Ottoman times that has been renovated with love by its owner. Lying in the middle of Rhodes’ old town, a UNESCO world heritage site, this little art hotel with great Mediterranean breakfasts will steal your heart. Welcome to the colorful world of Nikos Kasseris, a very talented photographer, culture lover and environmentalist who is also the owner of one of the most charming properties in the old town of Rhodes. Kasseris took over an old Ottoman villa and renovated it in style, preserving all the traditional elements yet transforming it into an exhibition space at the same time. Each room is named after one of his exhibitions and boasts some amazing images of the island, but also curious photographic paraphernalia in a property that blends, art, history, culture, and architecture. The style Inside this renovated mansion you will find Anatolian-style windows, Turkish-bath-like spaces, majestic arches, cozy niches, wooden ceilings, harem-like lofts, arabesque tiles and fine tapestries – all against a backdrop of modern conveniences and a touch of elegant luxury. This property fits perfectly inside the old town which opens up a whole world for you to explore. You’ll love sitting outdoors on the terrace with a view to the Old Town for a coffee or for enjoying the healthy Mediterranean breakfast. The latter includes perfect homemade jams, delicious Greek yogurt, many other local products, and sumptuous local cheeses. Just beyond the walls of the In Camera Art Boutique Hotel there are many fascinating places to visit such as the Archaeological Museum, Palace of the Knights, Acropolis of Rhodes, Art Gallery, Jewish Museum, and Muslim Library. You can also walk around the walls of the old castle and almost feel the different civilizations that passed through here. If you’re more the nature time, there are three diving centers that the hotel cooperates with, as well as a horse riding club that is 7km away. Within walking distance is the Elli city beach too, while a bit further out is a great beach area for kite surfing. Rhodes is full of adventure, and the best way to discover the island is by asking the hotel to arrange one of the many excursions available, from hiking in the Butterfly Valley to vising Ancient Kamiros and exploring the Acropolis of Lindos. Last but not least, it is worth mentioning that the hotel pays special attention to ecological matters on the island. 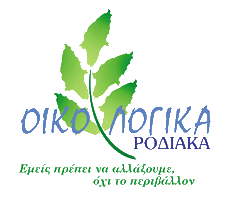 Its owner, Mr. Kasseris, is an active member of Ecologica Rodiaka – a local group that works closely with local authorities to address environmental issues from land pollution to organizing environmental events. Behind the scenes in the property itself, efforts are being made to use eco-friendly products: high-end natural Greek toiletries by Apivita, mattresses and bedding by a Greek company COCO-MAT, and environmentally friendly cleaning agents by Ecolab to name a few. If you want to stay in a gorgeous historical place in the middle of Medievial town that also happens to espouse an eco-friendly philosophy, In Camera will certainly not disappoint.